This blog is about my experiences and observations in making ISK in Eve Online from the beginning - twice. My first attempt stated in May 2013 and went through to the start of 2017 by which time i had 420bn ISK of wealth. If all you want to do is to see how I generated my that wealth, starting in May 2013, then start with the first post in this blog and read forwards. My second attempt started in March 2019 with the first post in this attempt. My style is to play the economy to gather ISK for the purposes of investing in other ISK gathering ventures to enjoy all aspects of the economy. I don't have much time to play Eve, perhaps an 30 minutes to an hour on week days - hence my activities will also reflect this low time constraint. Readers with more time may view this as their time in gathering ISK whilst able to devote the rest of the time to their other Eve activities. 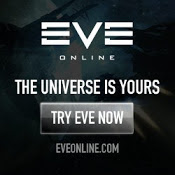 As at May 2013 and then again at March 2019, my character was new and I only had a few months experience at Eve - the blog will chart its success, or otherwise, in making ISK. I would aim to update the blog at least weekly, perhaps more often. It is assumed that the reader knows only the basics of Eve – hence have at least done the training missions. For new players, the best idea is to start at the first post which starts from day 1 of my first character. Feel free to contact me by email or leave comments on the blog. And if you write an ISK making Eve blog, or another Eve related blog, that you would like to include on my blog roll then also just drop me an email or mail ingame.